According to the IFPI, the global recorded music market grew by 8.1% in 2017, with $17.3bn in trade revenues making their way back to artists and labels. Should the industry grow by that percentage figure again in 2018, those annual trade revenues will leap up to nearly $19bn. But don’t bank on that happening. According to Sony Music, the global industry will see a more modest revenue increase this year, largely thanks to heavy declines in downloads and physical music sales. The headline figure amongst Sony’s projections is that industry digital download sales are going to fall by a whopping 35% in calendar 2018. 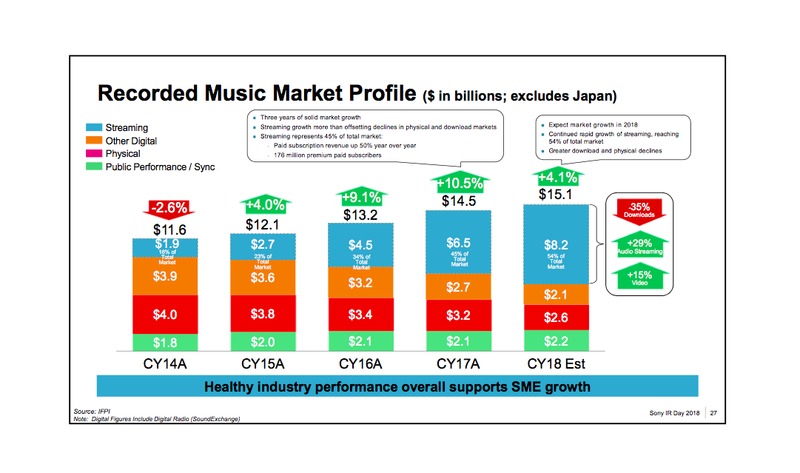 Last year, according to IFPI figures cited by Sony, the ex-Japan global music industry grew 10.5% to $14.5bn. Within that, streaming revenues leapt up 44% to $6.5bn, while download and physical declined; ‘other digital’, including downloads, was down 16% in 2017, while physical music sales fell 5%. However, according to Sony’s new projections – released to investors earlier this week and published by MBW below – these declines are going to get more severe this calendar year. This, predicts Sony, will result in ex-Japan industry growth of 4.1% in 2018, up to $15.1bn. In addition to the 35% projected decline in downloads, Sony expects industry physical revenues to fall 19% in 2018, down to $2.6bn. Audio streaming, meanwhile, will grow 29% in 2018, says the major – helping drive overall streaming revenues to take 54% of the total market at $8.2bn. 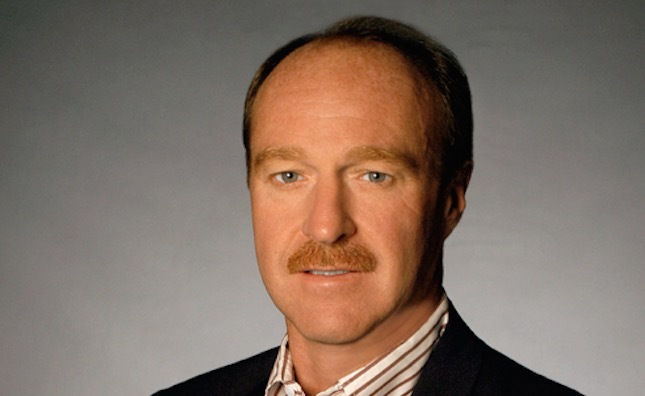 “We have forecast an accelerated decline in both the download and physical business,” Sony Music COO Kevin Kelleher told investors on Tuesday (May 22) in Tokyo about the projections. “That accelerated decline is currently what we’re seeing in the monthly year-over-year trends. He added: “On the physical side, we’re seeing the same type of trends – through April in the US marketplace it’s down in the mid-20%s. We’re projecting a 19% [global ex-Japan] market decline. Hopefully it’s not going to be worse than that. There was yet more optimism from Kelleher on China, which became a Top 10 market in the global recorded music business last year.